With your Associate's Degree in secondary education, you will begin to have this unique and rewarding field of education open to you, and you'll discover the knowledge and relationships waiting for you inside. 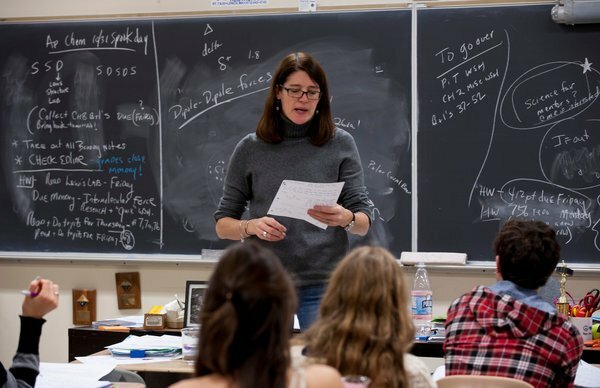 Although high school teachers are often depicted as the unwitting targets of a teenaged prank or the dull figures cramming unnecessary information into unwilling ears, the world of high school education is incredibly ripe with young minds eager for a powerful teacher to show them the value of knowledge. Since we've all sat through school before, we understand what it is like from a student's perspective. Getting your degree for secondary education unlocks the teacher's perspective of schooling, helping to acquaint you with the techniques and methodologies behind the best teaching practices. At the secondary level, teachers specialize in one particular field, such as history, English, mathematics, science, a foreign language, physical education, and so on. In addition to mastering the content of your specified field, you will also see that there's much more to teaching than knowing a lot about a subject. The true nature of a highly effective teacher is one that understands how to communicate that knowledge in a way that someone much younger and less experienced can understand it. To accomplish this, an Associate's Degree in secondary education will take you through courses devoted to adolescent psychology, curriculum planning, instructional methodologies, multi-cultural perspectives, ethics, and state standards. This core set of courses will introduce you to the essential areas that help inform an educator's decisions about what exactly to do in the classroom. There are a variety of careers available to someone with secondary education and teaching degree. Becoming a high school teacher is of course the most obvious and common position. There are public high schools in every community, and many communities have religious, private, and charter schools. If becoming a fulltime teacher isn't in the picture, there is high demand for qualified teaching aids and assistants who have an education in teacher and can serve as a quality supplement in any instructional situation. Leadership is also an asset inside of high schools, and with an education in teaching you can lend a perspective to the administrative side of things. This type of position puts you in charge of adults more so than students, but your ultimate objective remains the same, which is to provide resources that will better educate the students. Administrative positions are often awarded to individuals who first have teaching experience in the classroom. Secondary education teachers take up the challenge of teaching teenagers, sharing with them the specific content they have mastered in their field and preparing these students for an adult life beyond high school. When you earn your Associate's Degree in secondary education, you open up a path that, along with certification, enable you to become one of these individuals who can teach and inspire today's young adults. While many of us know what school is like as a student, a degree will show you that there is much more to teaching than showing up in a classroom. You will decipher the best techniques, curriculum structure, and content to better empower the leaders of tomorrow. Child Care Services Associates Degree – If you enjoy working with children and perhaps one day would like to open up your own child care services check out what schools can help you obtain your goals. Associates Degree Early Childhood – Start down the road to becoming a licensed teacher. Education Administration – Learn what is necessary to work in the front office or even as a Principal for Dean. Education Technology Associate’s Degree – Schools need individuals who handle all of the technology needed to runs schools today. Start your degree program from any of the accredited schools listed. Elementary Education Degree – Earn your Associates Degree in elementary education. Get started on the path of receiving your teacher’s license. English Education – Want to become an English teachers in middle school, high school or even college. Start with an AA degree and build a great foundation for this challenging career. ESL Degree Training – Do you want to teach oversees as an ESL teachers? Find out more information and how you can obtain your license. Middle School Teachers – Become a middle school teacher and teach grades 6-8. Associates Degree in Science Education – Join the 1000’s of science teachers that teach kids K-12. Start with your degree and transfer those credits to a 4 year university to receive your license. Associates Degree in Social Science – Become a case worker and help others. Teachers Assistant Training – Find schools that offer degrees in teaching assisting.